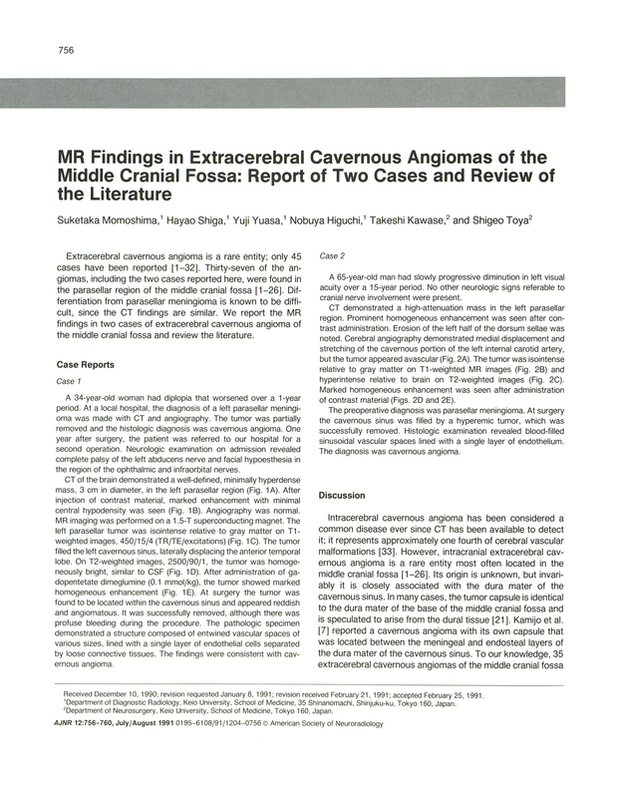 MR findings in extracerebral cavernous angiomas of the middle cranial fossa: report of two cases and review of the literature. Department of Diagnostic Radiology, Keio University School of Medicine, Tokyo, Japan. You are going to email the following MR findings in extracerebral cavernous angiomas of the middle cranial fossa: report of two cases and review of the literature.